Forced into Early Retirement, to Care for Autistic Adult Child, and Aging Parent. Divorced, and alone...kids are either grown and have left me with only their student loan debt, and other disabled child is now in independent living and doesn't want me around any more. Aging parent also found renewed strength and also wants freedom. So, what do I do now that I have nursed everyone else to health, or independent freedom? I no longer feel wanted or needed. Besides that, I lost all of my old friends and close relationships due to my many years of primary care-giving duties. I am not even sixty yet, and all of a sudden, I feel that my life has become useless. I joined a gym for the first time in my life, and that is helping some, but still - no friends. I am so an introvert, so that doesn't help with how to reach out and connect. I also moved to this new state and town last year, I find that folks here already have their "friends." I feel so lonely, and I don't know how things will go. Comments for Forced into Early Retirement, to Care for Autistic Adult Child, and Aging Parent. Your are a great writer! You are honest and are being proactive. 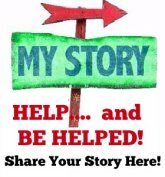 The fact that you took the time to share your story, might be a life changer for some readers. just being open and asking questions is a great start. Good for you, taking on that responsibility, and I am glad you have some time now for yourself! It is hard to start again when you seem to have missed the boat, but actually, life is what happens while you make other plans. I would begin by giving yourself one big spoil - and you can tailor it to your budget. Go to a beauty parlour and have a makeover. Just let someone show you your inner beauty. It helps to see yourself as someone new. When you do such intensive caring, you start seeing yourself as nothing but, and when the caring stops, it's like surgery - part of you has been cut away, and you are being careful so you don't bleed too much. Actually, you are a PERSON who happened to care, not a carer. Fall in love with that person, because she(you) are truly beautiful. I also suggest you get hold of a book by Julia Cameron on starting over in Midlife. Called "It's never too late to begin again," I found it incredibly helpful, and it helped me over a similar hump. Good luck. I promise, the best is yet to be! I also am an introvert and I find it very hard to make friends. I have been this way since my childhood. Now that I am 65 and retired, I have had the time to try to figure out why I am the way I am. It's hard to face certain facts about yourself but it is also comforting to accept the truth and stop beating yourself up for not being the way you think you should be. I believe it is better to have one or two good, loyal friends than many people who claim to be your friend. Quality is better than quantity when it comes to friendship. Hopefully, you will find one really good person you can call your friend. Let time bring this person into your life. I have found that forcing situations never work out the way you want them to. I also believe that people come in and out of our lives for a reason but it doesn't mean they will always stay in our life. When their purpose is completed, sometimes it is time for them to move on. It is something we must accept so we can also move on with our lives. I guess it is part of the circle of life. At one point in my life, I was getting counseling about some personal problems and the social worker recommended I read a book written by Iyanla Vanzant. The title is "Faith in the Valley Lessons for Women on the Journey to Peace". This book has been on my bookshelf since the 90s and it will remain as one of my treasured books until I pass away. This book has given me strength through times of unemployment, disappointment, fear, and loneliness. I am not a religious person and I don't attend church but this book helps me see the spiritual side of life. Maybe you can find this book or a similar book that will give you comfort when dark clouds are hovering over you. Dark clouds are temporary and will eventually float away. Congratulations on a job well done!!! I was a TH in a hospital setting for 8 years I cared for my mom after a stroke, she survived 2 years lost stroke I know now due to love and the time we shared. It's your turn!! Take care of yourself. You owe that to yourself. Step outside and think, what would I do to help this person and do it. You need the screaming now!!! Once I started to look at myself as the person that needed help I knew I owed myself the best care I would give. So happy I did I don't say no anymore when I get any invitation I jump at jt. Enjoy your life! You deserve it. What will you do? Celebrate! So, what do I do now that I have nursed everyone else to health, or independent freedom? If you ask me, it sounds like you did a fantastic job -- kids are educated and self-sufficient, aging parent is living life. NOW it's your turn. You should feel proud of a Job Well Done! Go girl! Now, consider the reasons WHY you moved to a new state. What did you hope to do there? Just go do it. Your aging parent is living life again, you need to do the same... whatever that means to you. Life is not constant - you might be needed by your parent suddenly, or the kids need a babysitter, or whatever comes along in life. Enjoy it while you can!